Northern Illinois University’s Department of Literacy and Elementary Education is offering an evening program designed for working adults interested in obtaining Master of Arts in Teaching degrees which will lead to initial licensure in elementary education. 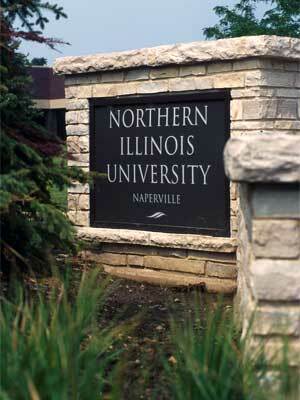 NIU plans to start a new cohort for summer 2015 at the NIU-Naperville campus. This part-time program is ideal for bilingual teachers, paraprofessionals or career-changers who already have bachelor’s degrees in other fields and desire to earn the elementary license to teach in first- through sixth-grades in Illinois Public Schools. Interested individuals can learn more about this program and submit applications by attending an information session from 5 to 7 p.m. Thursday, April 9, at the NIU-Naperville campus, 1120 E. Diehl Road. Contact Gail Schumacher at gschumacher@niu.edu or (815) 753-7948 to RSVP. The M.A.T. degree program offers convenient evening classes, Illinois State Board of Education-approved curriculum, the opportunity to learn from award-winning faculty and the experience of working alongside veteran teachers in completing student teaching requirement. Students have the opportunity to earn the ESL/Bilingual endorsement while enrolled. Scholarships and financial aid are available for students pursuing the initial teaching license.